A Cut Above is Incredible with 200 Year Old handcrafted logs in the beautiful Wears Valley! VIEW NOW. 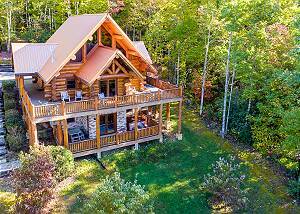 Acorn Cabin Rentals is centrally located near all of the attractions & excitement the Great Smoky Mountains area has to offer! You may also contact us by email by filling out the form below.